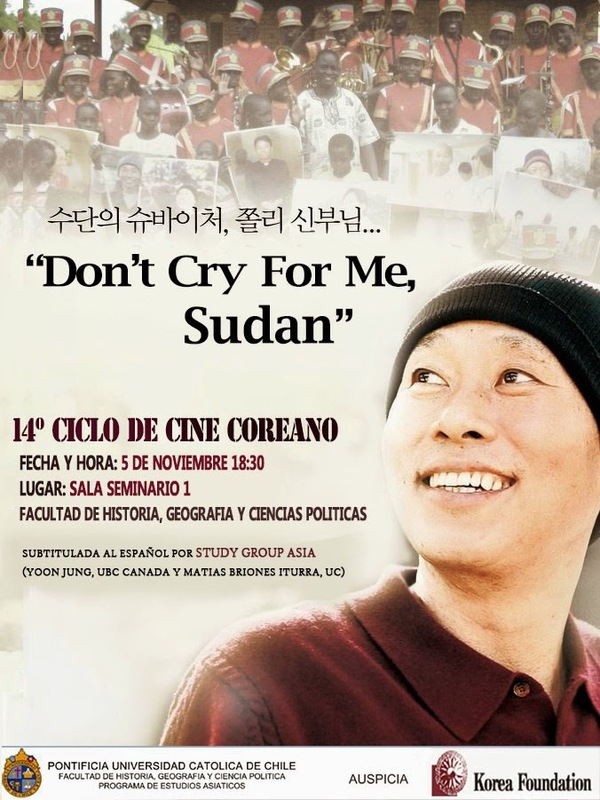 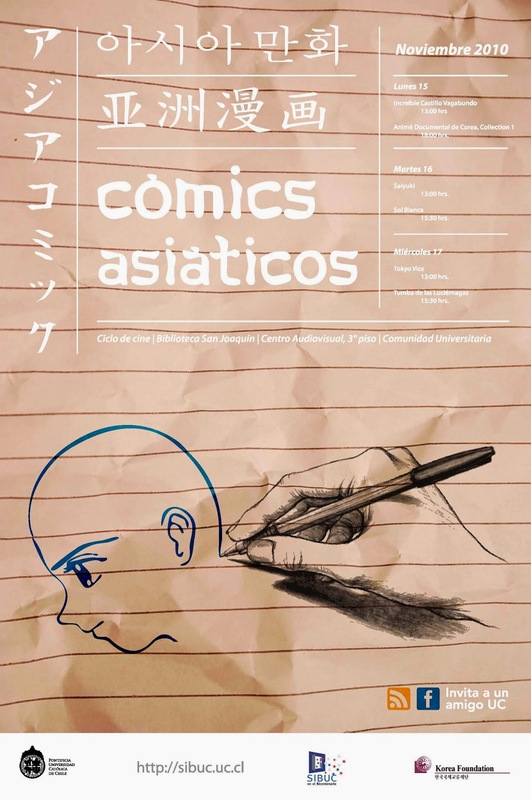 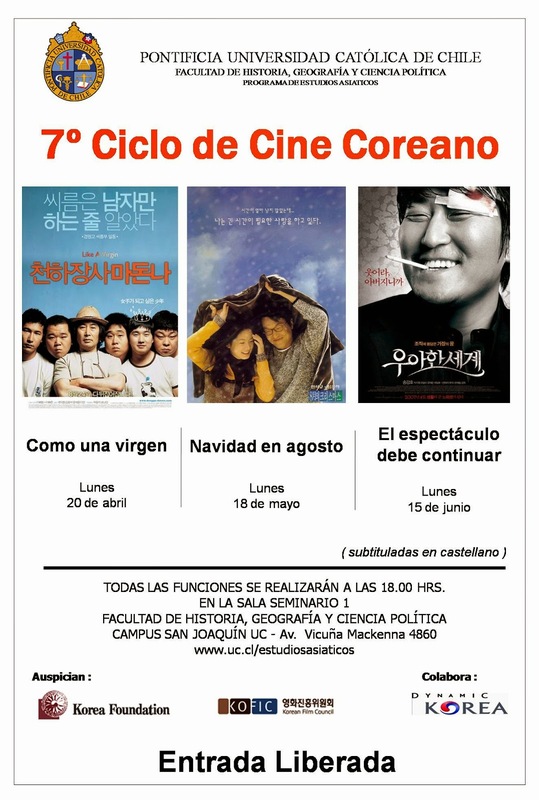 17 Festivales de cine coreanos han sido celebrados cada semestre desde 2006, de los cuales los últimos siete (11°-17°) han sido llevados a cabo por el Study Group ASIA, donde participan estudiantes coreanos de intercambio y alumnos UC, y quienes han preparado las traducciones, subtítulos y afiches de los festivales que les ha correspondido organizar. 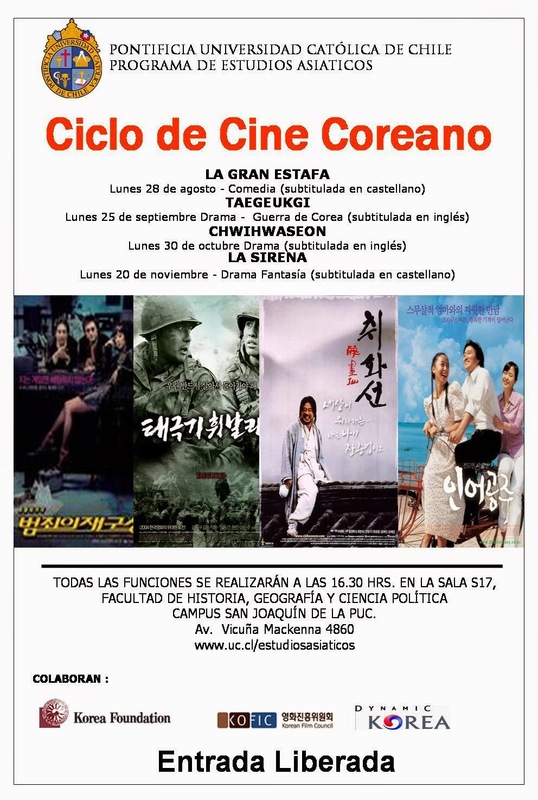 17 Korean Film Festivals have been held every semestre since 2006, the last six of which were carried out by Study Group ASIA participant students (Korean exchange students and UC students) who prepared translations, sub-titles and posters. 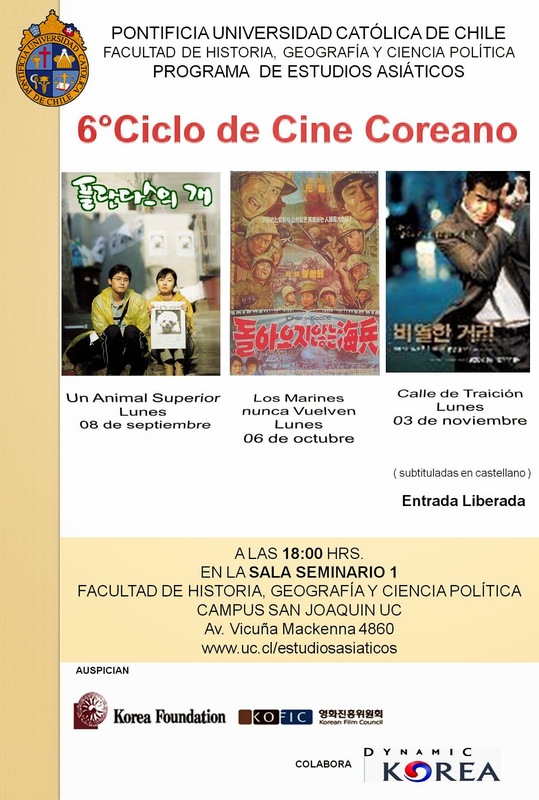 This is the kind of event that I wish to organize in my university. 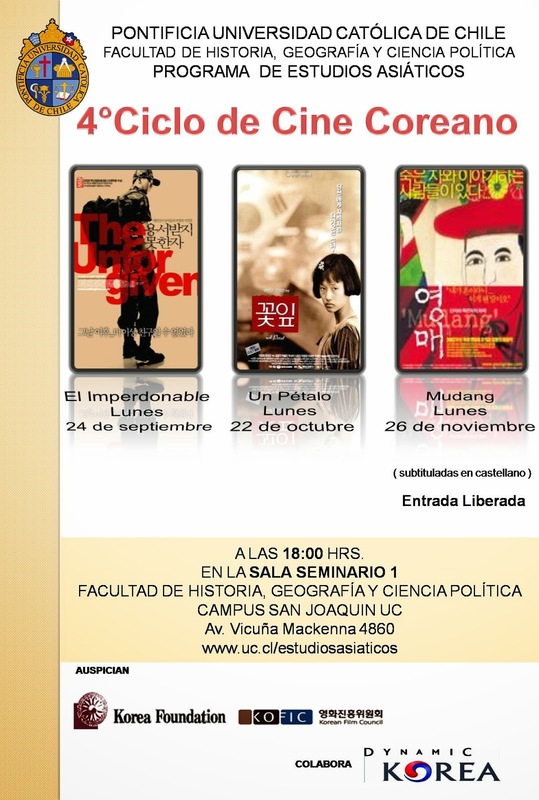 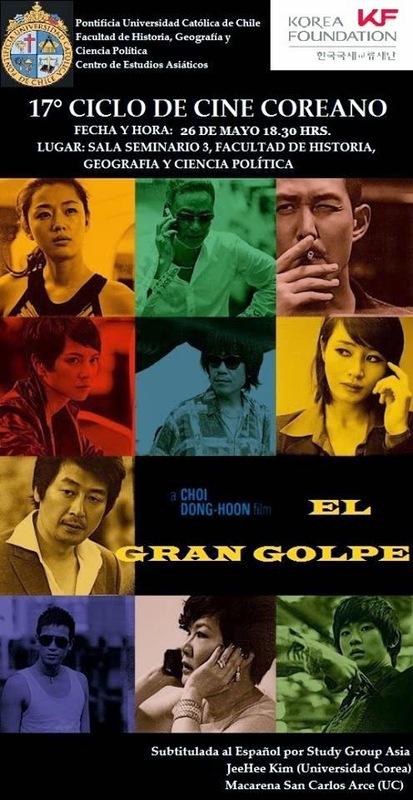 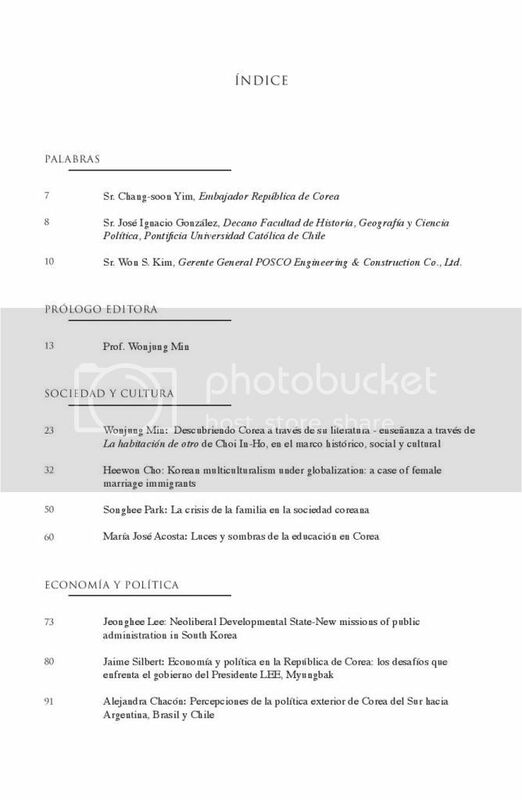 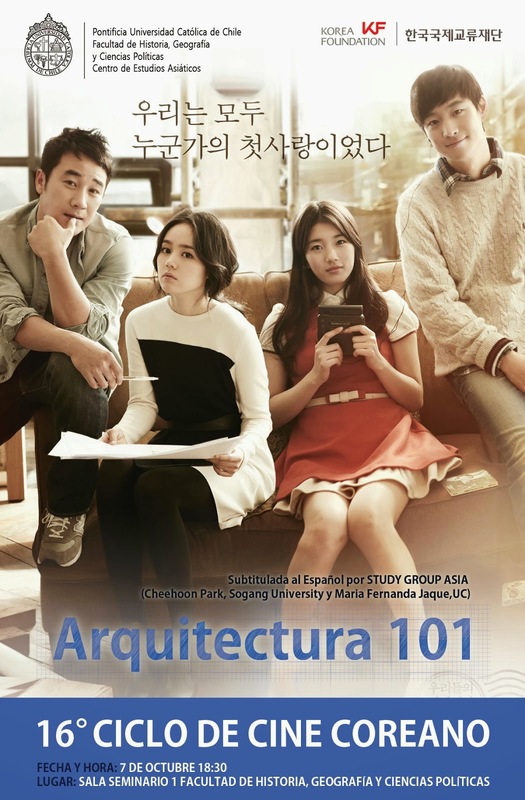 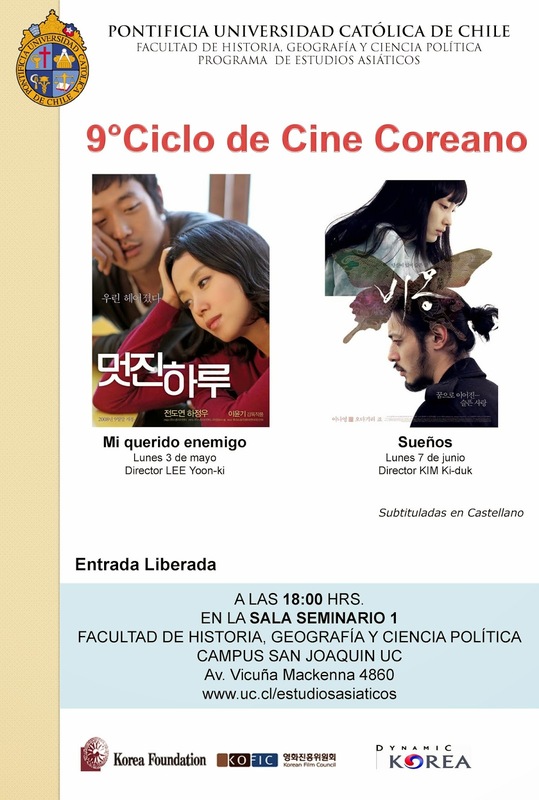 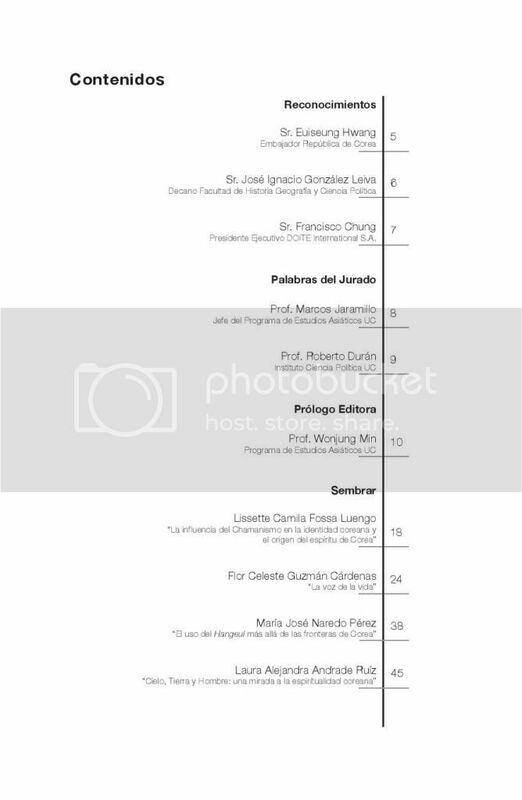 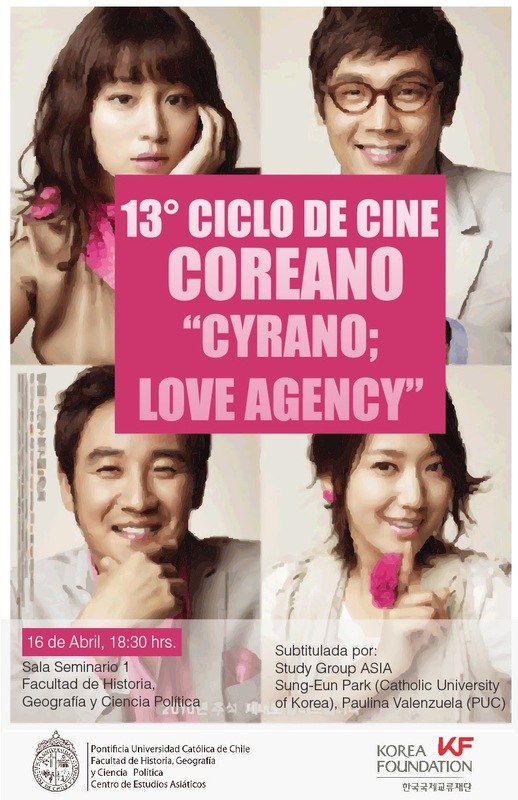 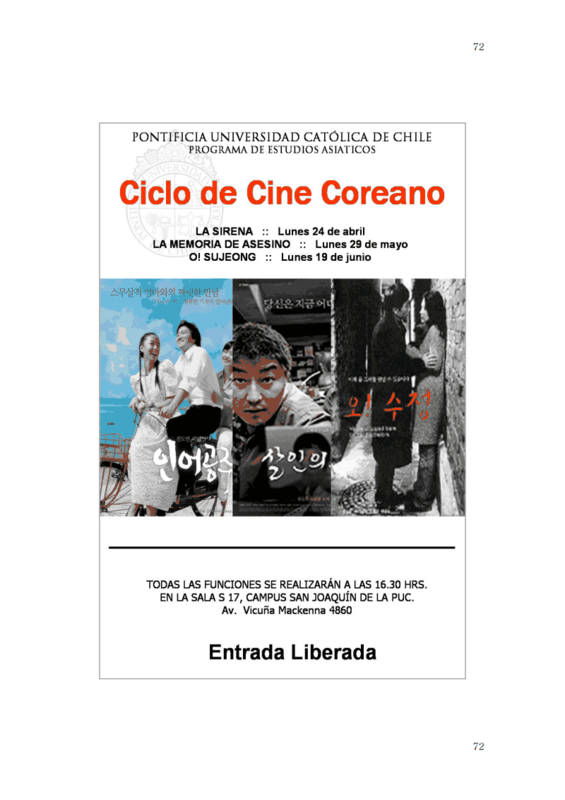 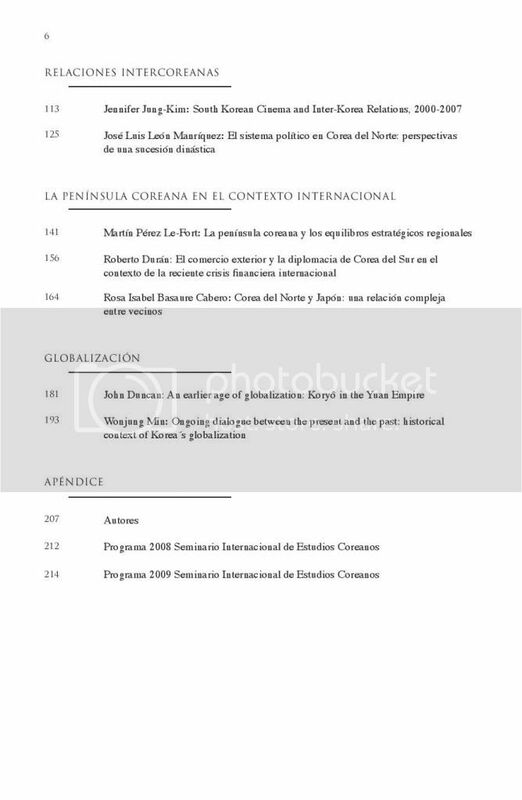 How lucky they are at Pontificia Universidad Católica de Chile who now can regularly taste the modern Korean cinematic trend, a rare occasion made possible through dedicated organization by the Korean Studies team there. 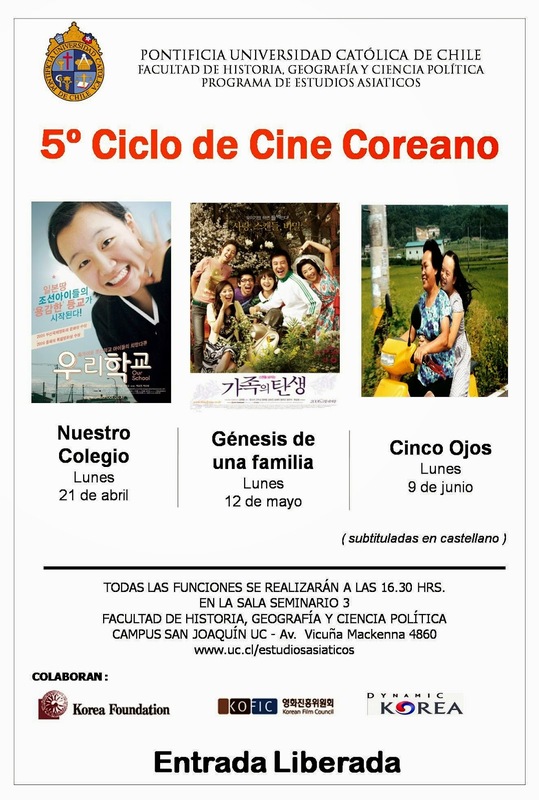 I give my special praise to the students who carried out the difficult task of preparing the translations, sub-titles, and the posters. 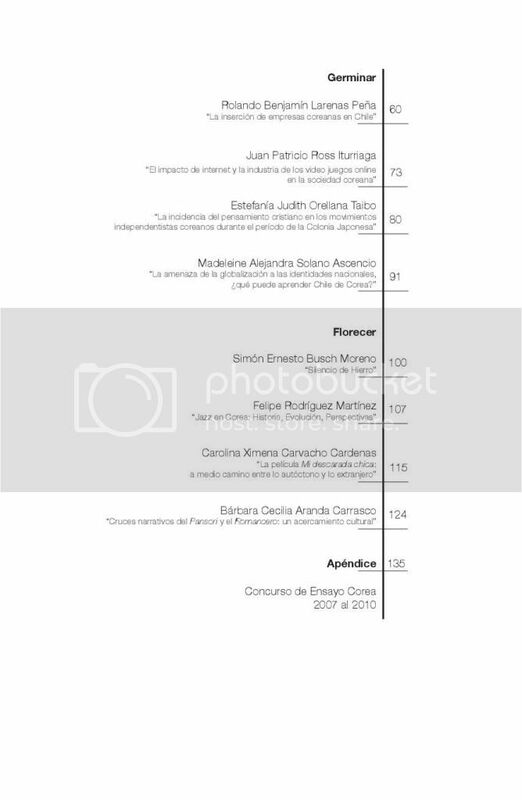 Another rare achievement! 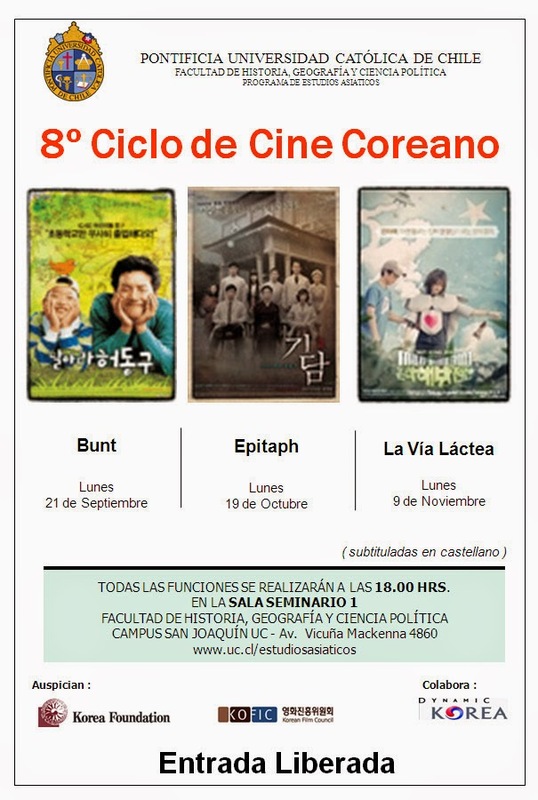 Hwaiting and all the best. 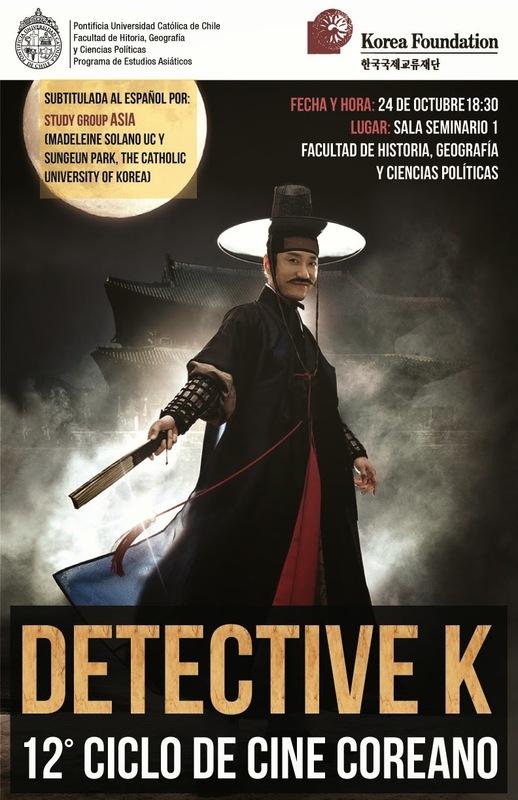 From Dr Chi in Korean Studies, Oxford University.